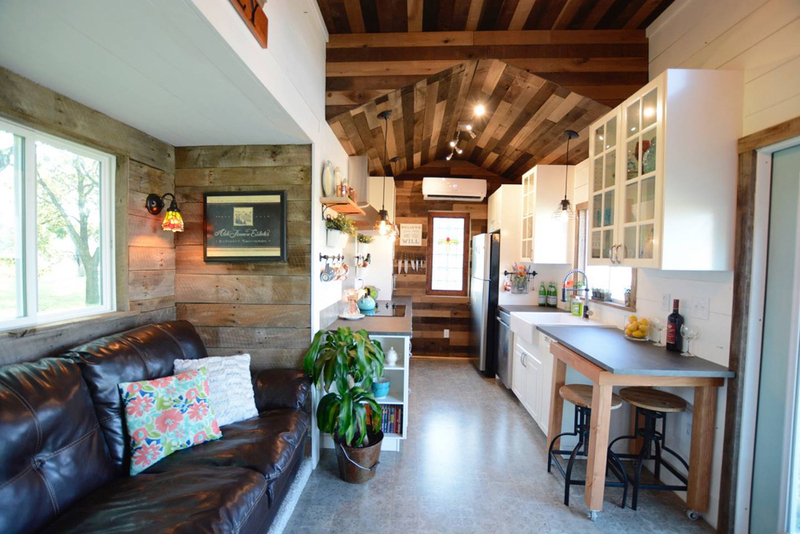 From Kerrville, Texas-based Hill Country Tiny Houses is the 40-foot Vintage Retreat. 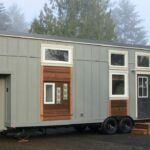 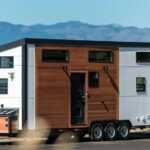 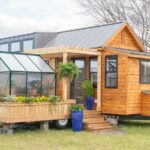 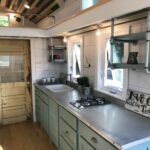 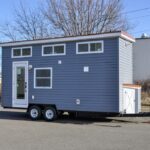 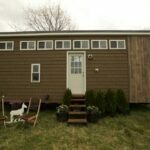 The 384-square-foot tiny home has two steel slide-outs, a main floor master bedroom, and an additional 70-square-foot loft. 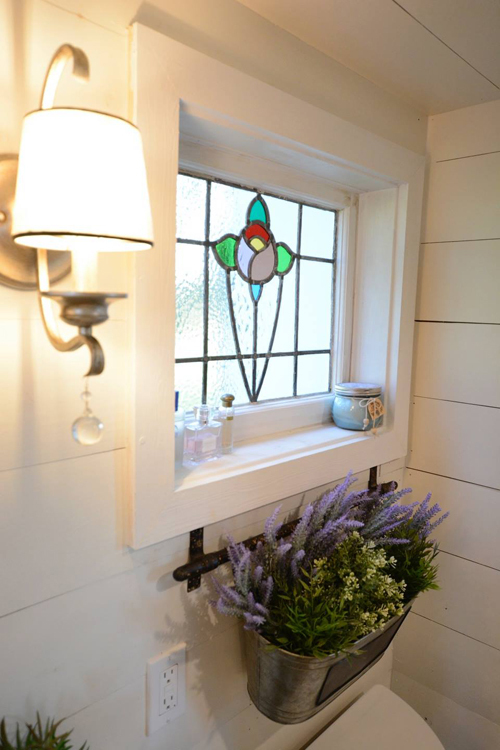 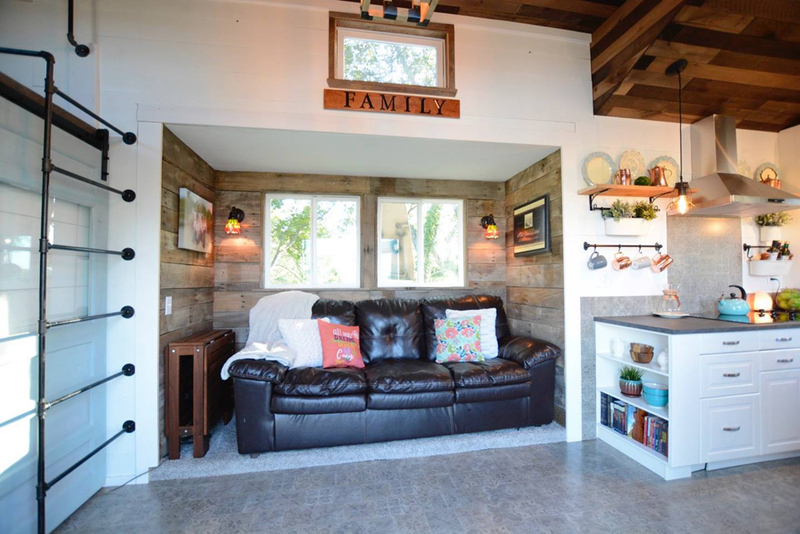 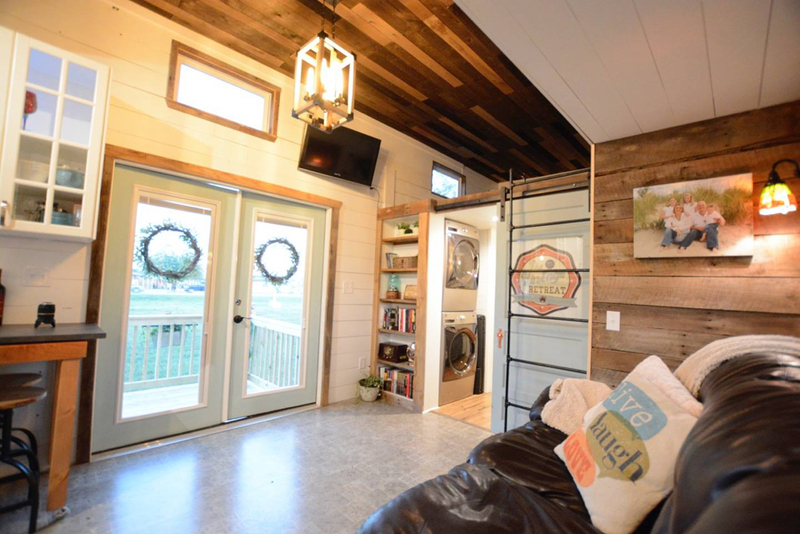 The tiny house features two vintage stained glass windows, white shiplap walls, and a barn wood ceiling and accent walls. 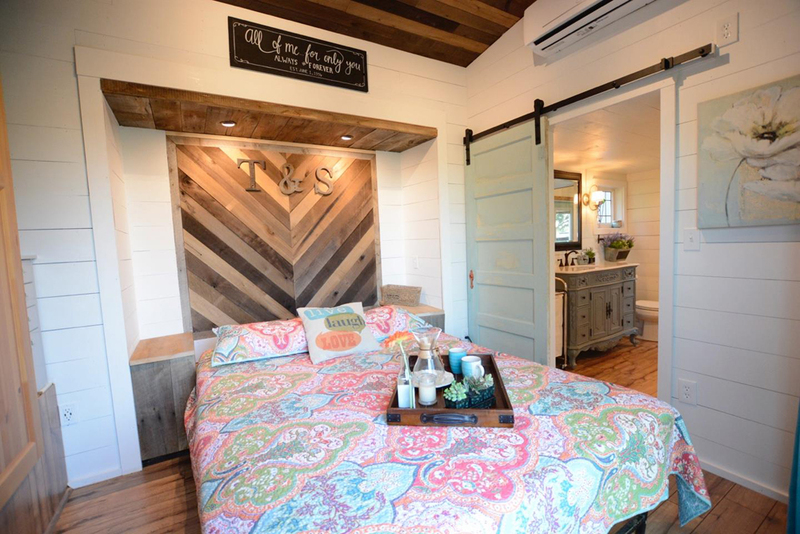 The master bedroom has a sliding glass door that leads onto one of the two decks. 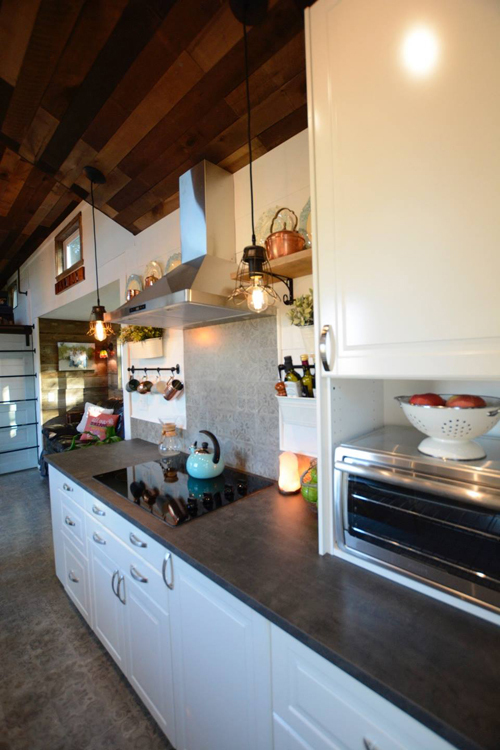 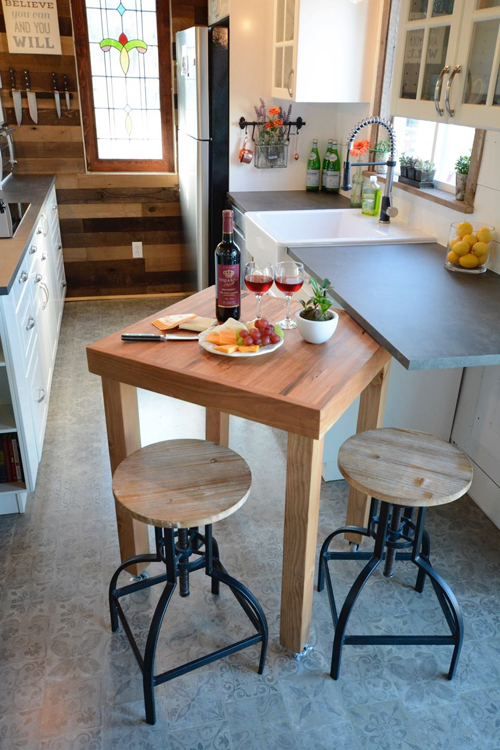 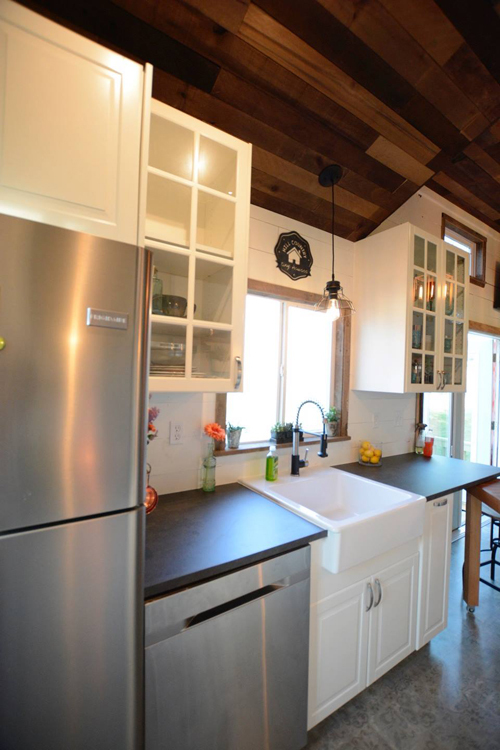 The kitchen includes a handmade movable island with cherry butcher block countertop, white farmhouse sink, full size refrigerator, electric cooktop, and dishwasher. 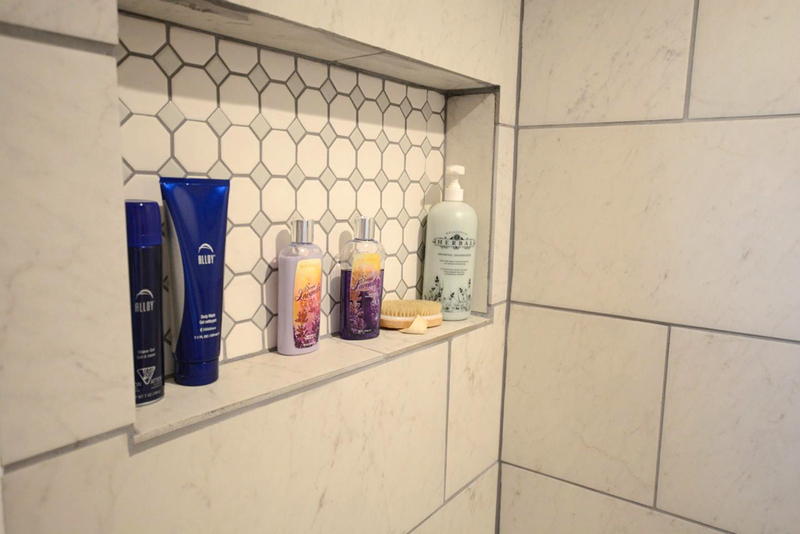 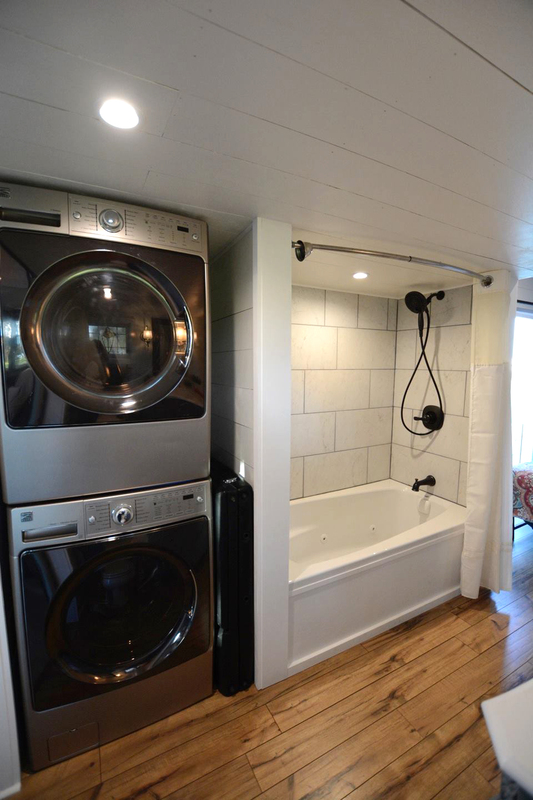 In the bathroom is a 48″ antique vanity and a full size jetted tub. 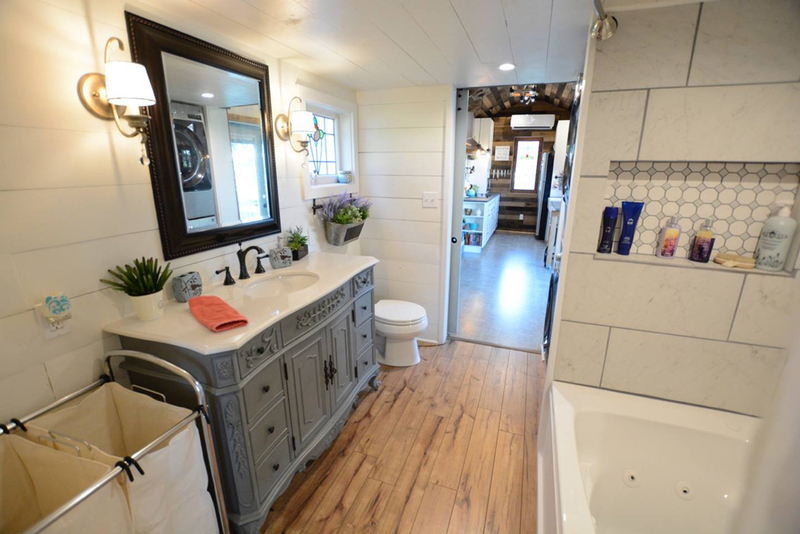 The Vintage Retreat also comes in a 399-square-foot park model and 33-foot trailer without slide-outs. 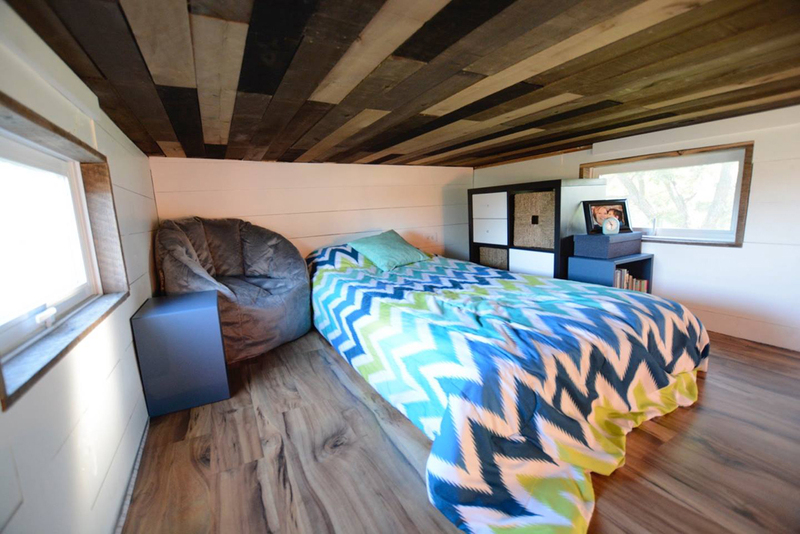 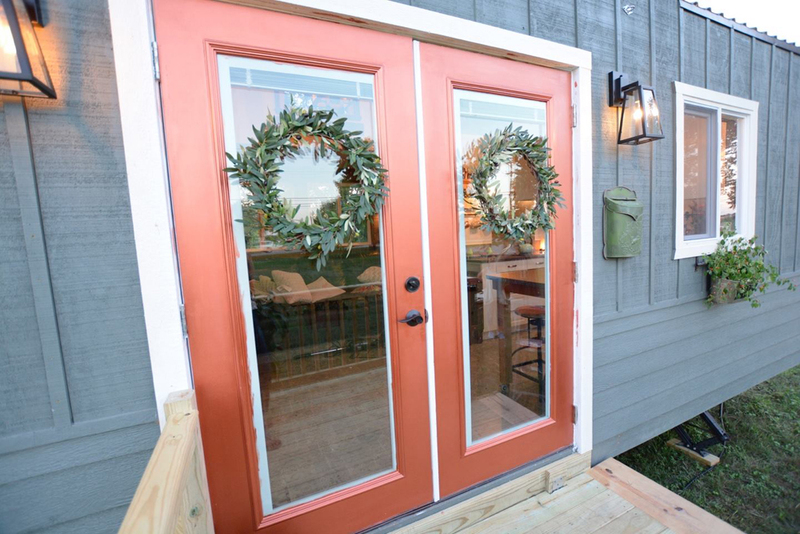 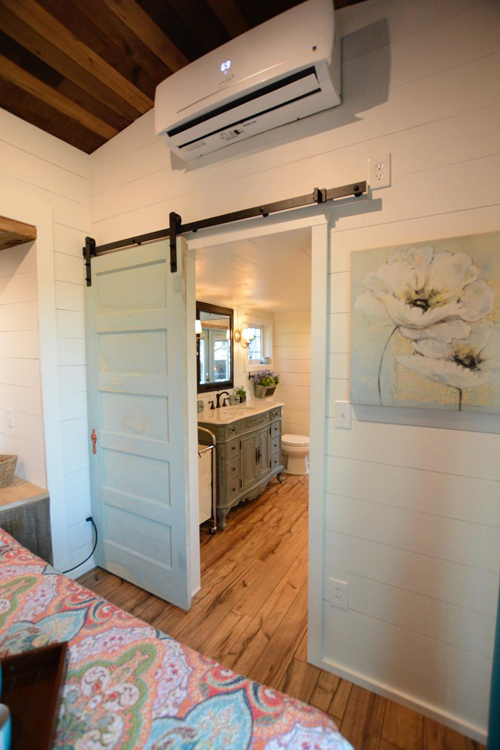 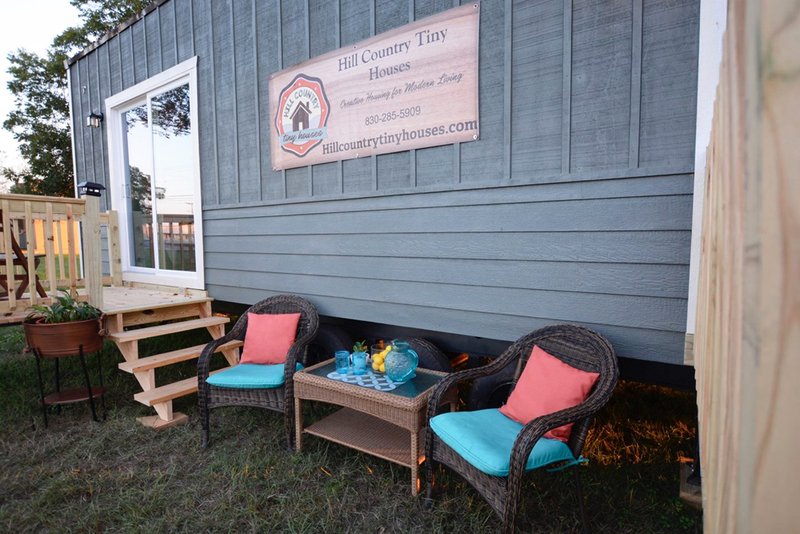 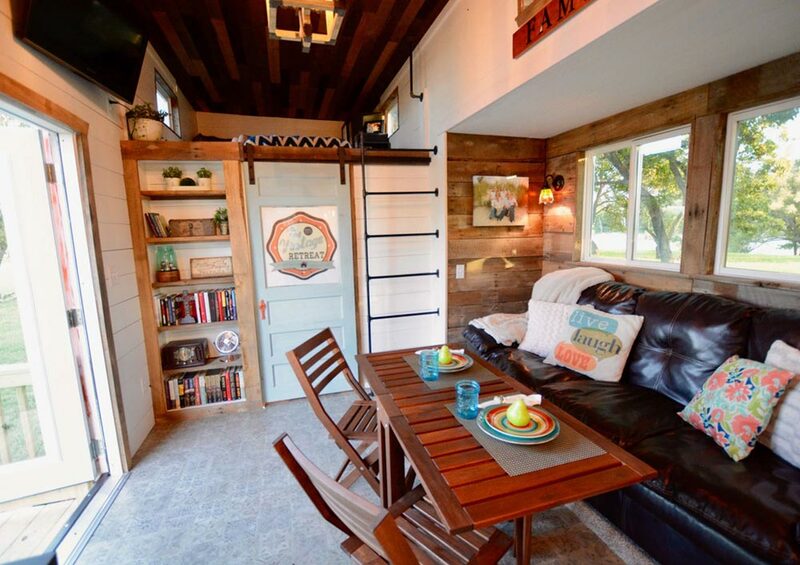 Hill Country Tiny Houses was founded by husband and wife duo, Todd and Shari Snyder. 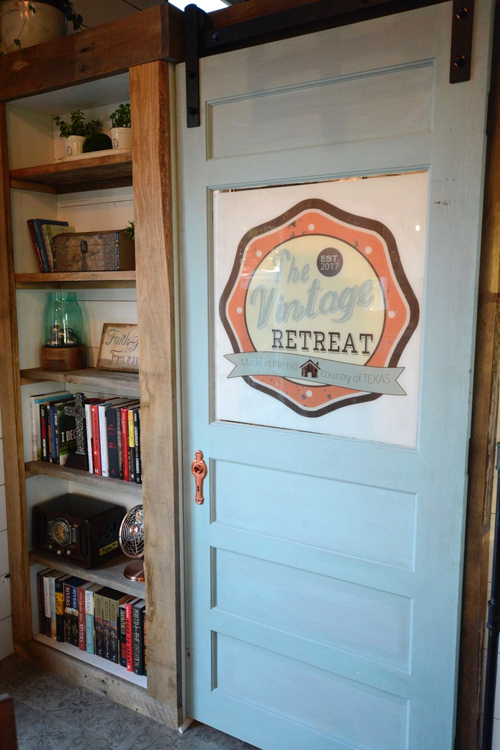 For more information about the Vintage Retreat, you can visit the Hill Country Tiny Houses website. 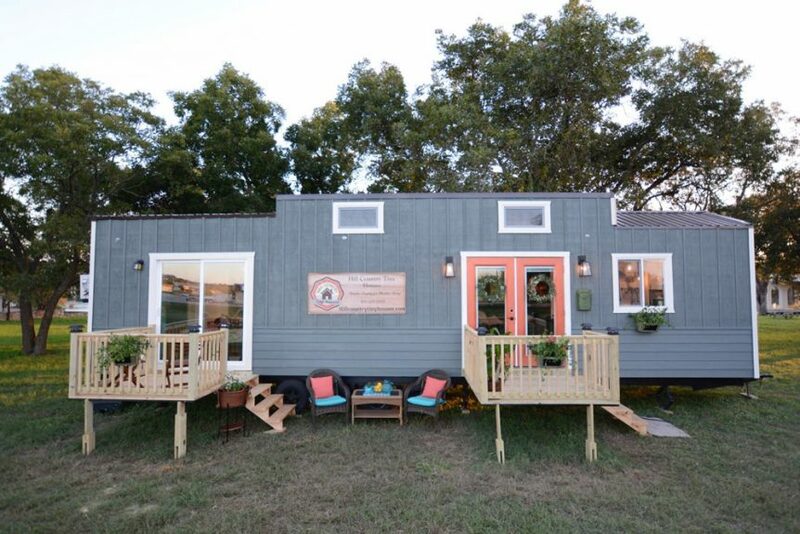 Also available from Hill Country Tiny Houses: Bohemian Bungalow.